Collins Booksellers - Combinatorics by Theodore G. Faticoni, 9781118407486. Buy this book online. 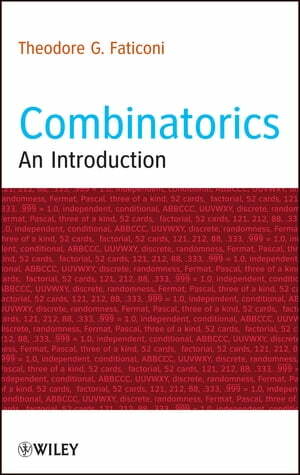 Combinatorics: An Introduction introduces readers to counting combinatorics, offers examples that feature unique approaches and ideas, and presents case-by-case methods for solving problems. Combinatorics: An Introduction is an excellent book for discrete and finite mathematics courses at the upper-undergraduate level. This book is also ideal for readers who wish to better understand the various applications of elementary combinatorics.